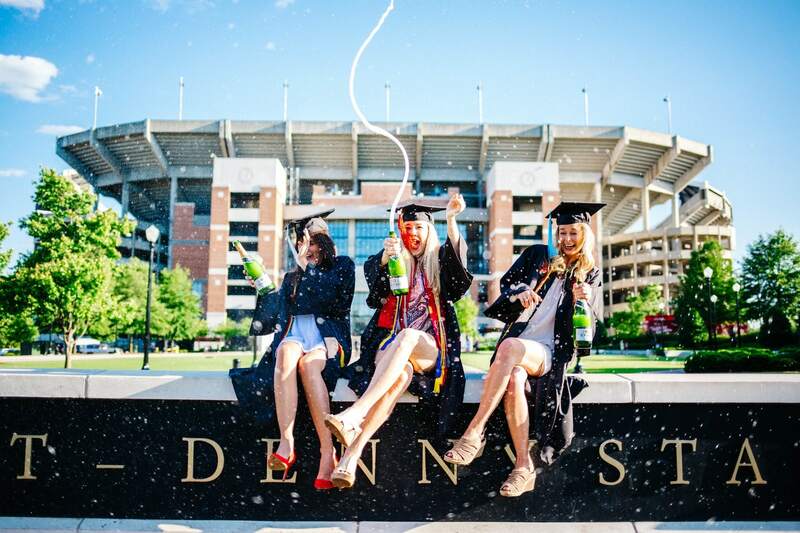 Because graduation is only one of the major occasions you have coming up. 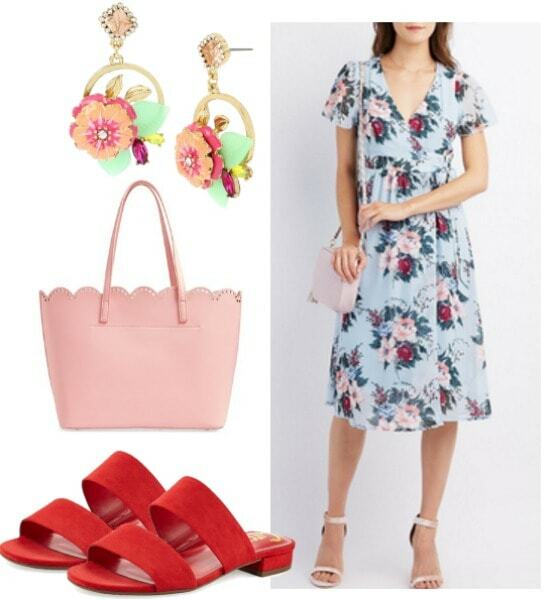 This website is called College Fashion, so naturally we have tons of advice on tackling the last big fashion challenge of college: what to wear to graduation (see some past posts here, here, and here). I want to continue this annual tradition with my own commencement dressing tips, but now that I’m a senior I’ve also realized that oh, dang, I need outfits for so many things the next couple of weeks! 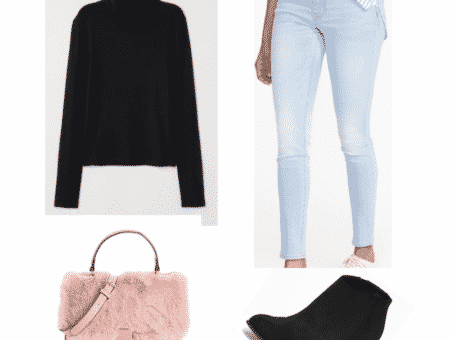 Some events, like brunches and final classes, will be casual; a cute top and jeans or a favorite dress are all I need. But for others, I really want a look that will stand out, both in the crowd of other seniors and in my memory. So read on for my tips on what to wear to three big senior events. And oh yeah, congratulations! 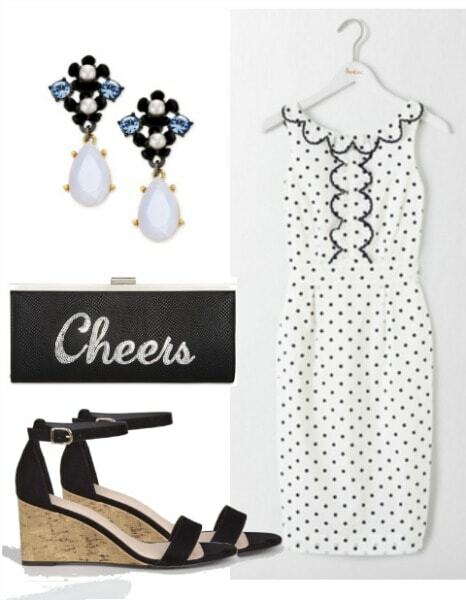 Product info: Dress – Charlotte Russe, Shoes – Last Call, Bag – Nordstrom, Earrings – Betsey Johnson. Maybe you’re defending a thesis that you’ve worked on all year, or maybe you have to give a major oral presentation in class. The point is, all eyes will be on you, and you should be as proud of your outfit as you are of the hard work you’ve put in this semester (and your entire college career). A look like this would also be fantastic for an honors ceremony. I love the idea of rocking something high-fashion, feminine, and fun to present serious academic research. You’ll silence anyone who still doubts that beauty and brainpower can (and often do) go together. A midi dress is a fresh silhouette, and less expected than a business-y sheath or mini. Show that you know your fashion as well as you know your Foucault by adding trendy slide sandals as opposed to heels or booties. Accessory-wise, one bold piece of jewelry — especially one that draws the eye to your beautiful face, like a good statement earring — will get people’s attention without being distracting. Finally, a carryall tote is a must for walking in to that presentation fully prepared like the girlboss you are. Products: Jumpsuit – Boohoo, Shoes – Macy’s, Bag – Pretty Little Thing, Earrings – Saks Fifth Avenue. At my college, we have a big party for seniors the week before graduation. Maybe you have something similar, or maybe you are planning a bash with your friends or a fancy post-graduation dinner with your extended fam. Either way, treat yourself to a glamorous look. This wide-leg ruffle jumpsuit is trendy, flirty, and perfect for showing off a pair of statement shoes. Plus, believe it or not, it’s just $35, so you’ll have some moolah left to splurge on accessories, like these perfect chandelier earrings that you’ll wear forever. Play up the glam, fun vibe with a cheeky oversize clutch, which is also perfect for stashing a pair of flats in case you go a little crazy on the dance floor. Which you will, of course. IMHO, the ideal vibe for a graduation outfit is something timelessly pretty, but also unapologetically YOU. You want to be able to look back years from now and still love your choice of ensemble, but you also don’t want to look just like everyone else. Thus, I think choosing a dress with a pretty pattern or fun texture is key (I myself will be rocking periwinkle lace on my big day). This sheath, with the fun polka dots and adorable scalloped detail, fits the bill. If you’re not wearing flats, wedges or chunky heels are a must, both because they’re easier to walk in and because they won’t sink into the grass if your ceremony is outside. Add some festive jewelry and grab a cute clutch for the reception, and you’re ready to get your diploma. Cheers, indeed. Are you graduating this semester? 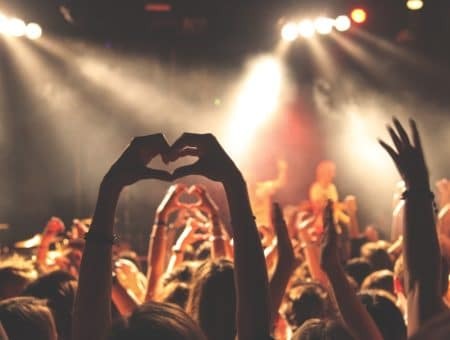 What big events do you have coming up? And most importantly, what are you wearing? Let me know in the comments!